Today’s auto sales landscape is a volatile, often unpredictable one—and independent dealerships face many challenges as they seek to capture and convert leads. Some of these obstacles are the expected ones—hurdles that stem from the competition, or from changes to the economy itself. Other hurdles, though, stem from the increased digitization of the auto sales process. Simply put, many dealerships struggle to find the most cost-effective ways to generate, capture, and convert their sales leads. Of course, there are many ways in which this digitization has made lead capturing more attainable—but then again, it’s also made the sales cycle longer and more complicated. 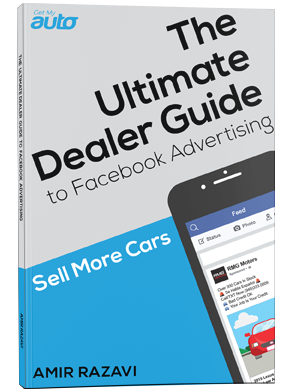 Certainly, buyers love all the websites and apps that allow them to research cars before they arrive at the showroom; from the dealership’s vantage point, though, these resources muddy the waters considerably. The bottom line for dealers is that nurturing leads has never been more important than it is today—so how can dealerships do it effectively? The short answer is for dealerships to invest in lead management—ensuring they have the right processes and procedures in place to capture the leads that come in and then to guide those leads to the bottom of the sales funnel. Have an automated lead tracking system in place. Make sure you’re automatically recording the leads that come in as well as the follow-up, ensuring that none of these leads are lost or forgotten about. Use lead information to maintain a prospect database. Regularly update it and use it to guide future marketing endeavors. Invest in customer service training for your sales representatives. And in particular, make sure potential customers are getting the highest possible level of friendly, personalized service. Make lead follow-up a top priority. Ensure that each lead receives a personal follow-up as quickly as possible—ideally within a few minutes. Ensure your CRM is synced with all online lead generation platforms. In particular, you’ll want to make sure it’s populated with any leads you receive through your Craigslist ads. This is something the Get My Auto Craigslist Wizard is good for. The bottom line: You’ll only effectively capture and convert leads if you have the right systems in place. As such, building a strong lead management protocol is one of the best things you can do to grow your dealership. It’s also something we can help with. This is our bread and butter, and we have both the experience and the software solutions you need to make your dealership more profitable. Start moving the sales needle today. Reach out to the team at Get My Auto.